If there is something we always say about the events we do, it's that we do everything BUT weddings. And for the most part, that's true. But when we had someone reach out as sweet, enthusiastic, and creative as Kate, we couldn't seem to say no. 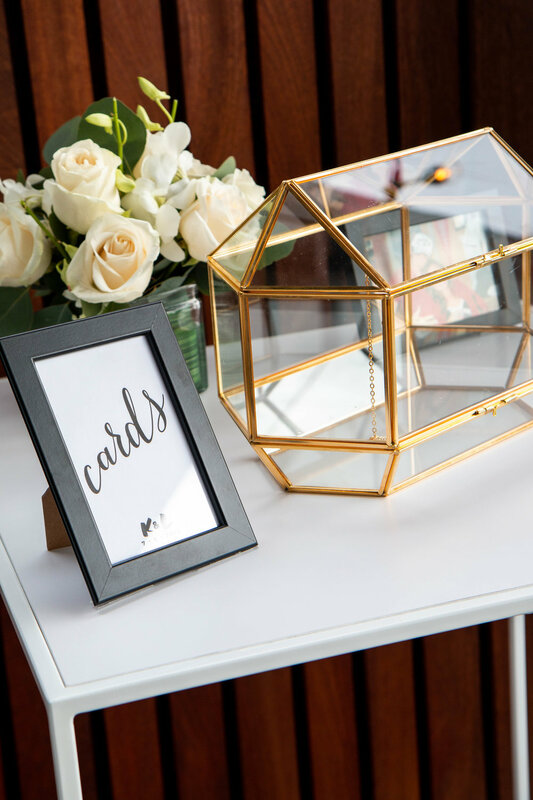 Especially because we were only responsible for special detail decor, for which Kate pulled inspiration images for all her favorite ideas. I mean come ON! This girl was totally speaking our language. So the first decor item on our list was a balloon garland. These garlands are our newest favorite obsession because they create such a stunning backdrop for photos as well as a show-stopping decor item for everyone to enjoy. We worked with Kate's amazing florist, Columbia Florist, to provide us some extra stems to add into our garland, and they were the perfect touch. Our next favorite decor detail was the seating chart, which we designed and had made by our friends over at Manhattan Neon. The chart stood at 7 feet tall and was made of plexiglass so it did not obscure the view of the city skyline. We even added some extra stems and balloons to the bottom to match our garland. 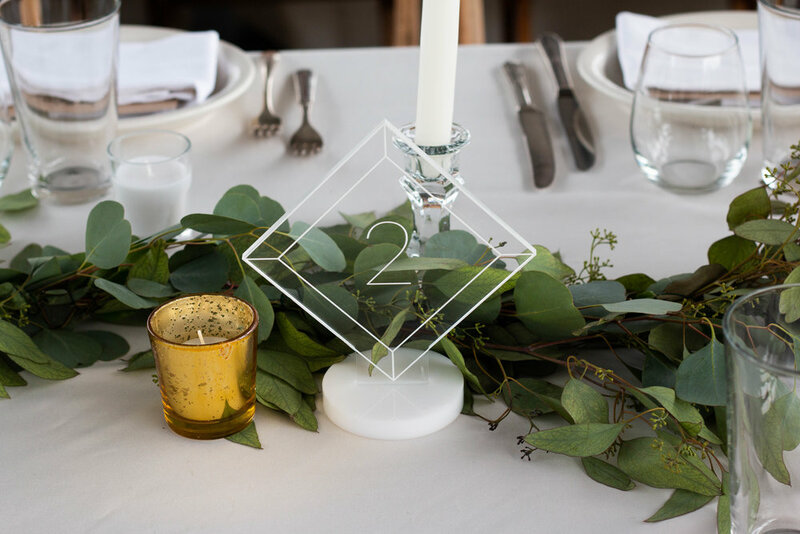 Manhattan neon also helped to create these amazing table numbers that felt subtle amongst the greenery. We wanted to give Kate and Luke a fun option for a guest book, so we created this canvas from their invitation design for everyone to sign. We set up the station for everyone to have access to pens as well as a place to drop off their cards. 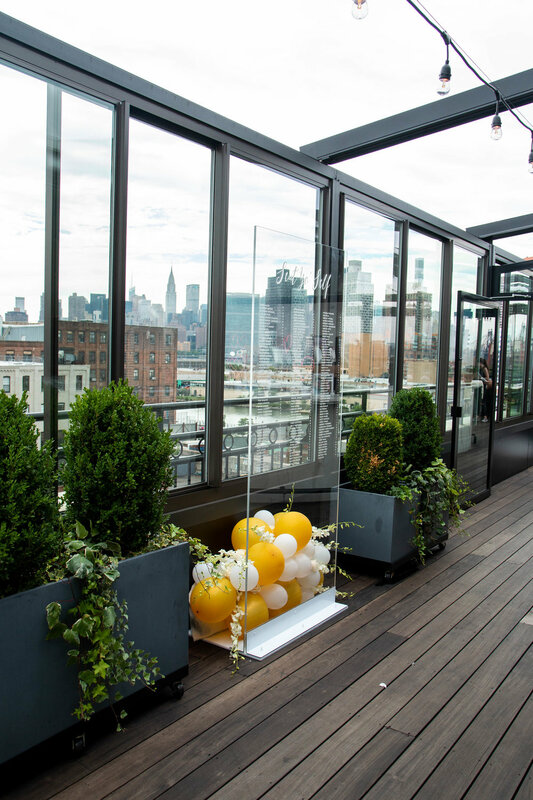 Kate and Luke chose The Box House Hotel rooftop in Brooklyn for their party, and the views were absolutely stunning. We were able to set up a little outdoor seating vignette, complete with our favorite furniture and glow balls from Taylor Creative. We also had a custom balloon made with "finally" in script by Brooklyn Balloon Company, playing on the number of years Kate and Luke have been together. We scattered some neon heart lamps around the bar for extra lighting as the night went on. 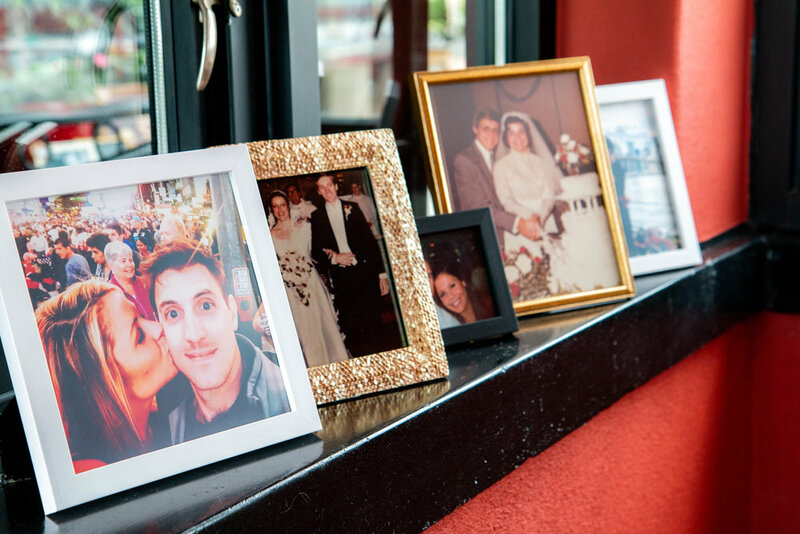 And finally, we styled some amazing photos of Kate, Luke, and their extended families all around the venue for everyone to look at and admire. Congratulations, again, to this happy, wonderful couple! We were so glad to have had the chance to take part in this special day. Cheers to many years of happiness!